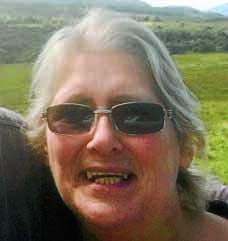 POLICE Scotland are appealing for witnesses in connection with the sudden death of a 62-year-old woman from Dalbeattie. The body of Christine Hilton was discovered within her vehicle – a grey Vauxhall Astra – in a car parking area on the A762 approximately one mile north of Laurieston on Tuesday afternoon. Detectives are treating her death as unexplained and a report has been submitted to the Procurator Fiscal. Anybody who saw Mrs Hilton or her vehicle, which has registration number KD06 YZT, to contact Police Scotland on 101 quoting incident number 2077 of November 27.